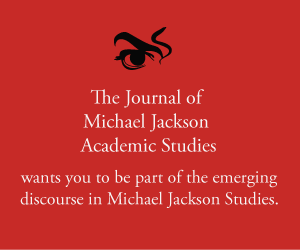 Abstract: In this ninth episode, part II of the MJAS Exclusive, Elizabeth and Karin and their guests, fellow academics, Lisha McDuff and Roberta Meek, continue the discussion on Michael Jackson’s art, resonance and cultural impact alongside the late musician, Prince. Merx, Karin, Elizabeth Amisu, Roberta Meek, and Lisha McDuff. 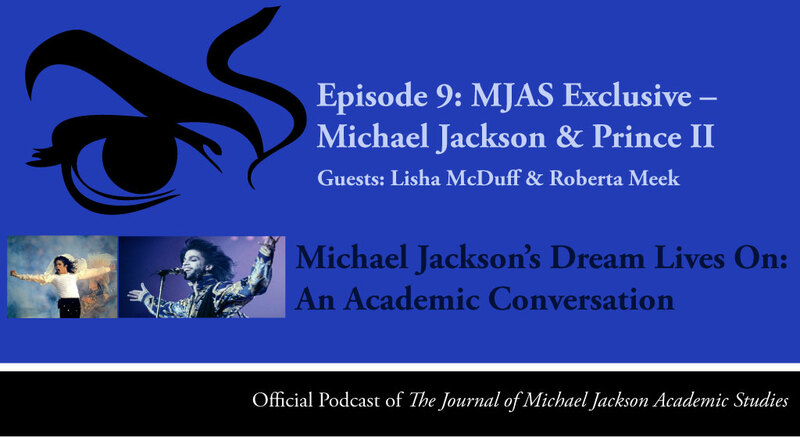 “Episode 9 – MJAS Exclusive: Michael Jackson & Prince Part II (with Lisha Mcduff & Roberta Meek).” Podcast, Michael Jackson’s Dream Lives On: An Academic Conversation 2, no. 3 (2016). Published electronically 7/06/16. http://michaeljacksonstudies.org/episode-9-7-6-2016-mjas-exclusive-michael-jackson-prince-part-ii/. There was such a backlash, such an intense distrust of Michael Jackson that spills over into the scholarly reception of him as well. Scholars are people as well and we are all affected by popular culture in ways that we may not even be aware of… We’re just at the beginning. As that pain subsides, that pain also drives curiosity, intellectual curiosity, analytical curiosity… yes there was scholarship before Michael died, but it was fairly superficial. Any biographical work was superficial… when you look at the explosion of scholarly inquiry after his death, the same is going to happen for Prince. 1. What can MJ fans learn from Prince? 2. What can Prince fans learn from MJ? 3. Fan communities of both artists seem disparate to us at MJAS. What are the connections? 4. Let’s discuss the critical reception of MJ, especially in terms of gender, ethnicity and sexuality. This episode is available for sale as an edited book via Amazon Kindle. Lisha McDuff is a classically trained professional musician with an MA in Popular Music Studies from the University of Liverpool. She is currently continuing her research at McMaster University, focusing on the art of Michael Jackson. She is the co-presenter of the acclaimed academic blog, Dancing with the Elephant: Conversations about Michael Jackson, His Art and Social Change. Find out more about Lisha here. Roberta Meek is a full-time lecturer at Muhlenberg College. A historian trained at Temple University, she specializes in African American history and the history of race and social movements in the US context. In Fall 2015, she was able to put both her scholarly expertise and knowledge to work in teaching a First Year Seminar on Michael Jackson. Find out more about Roberta here. 1. Article by ?uestlove in Rolling Stone, ‘Questlove Remembers Prince: In This Life, You’re on Your Own‘ (April 25, 2016). 2. ?uestlove on Michael Jackson, In BBC Culture Show (December, 2009). 3. ‘Prince fans mourn the loss of music legend outside his Paisley Park home’ The Guardian (April 22, 2016). 4. Useful information about Pierre Bourdieu, sociologist, anthropologist, and philosopher. 5. New biography on Michael Jackson by Mike Smallcombe, Making Michael: Inside the Career of Michael Jackson (London, 2016). Read our review of Making Michael here. 6. Saturday Night Live (SNL), The Day Beyonce Turned Black: It’s the Day White People Never Saw Coming. https://www.youtube.com/watch?v=ociMBfkDG1w. 7. First Year Seminar Course by Professor Roberta Meek at Muhlenberg College: Imagining Michael Jackson.